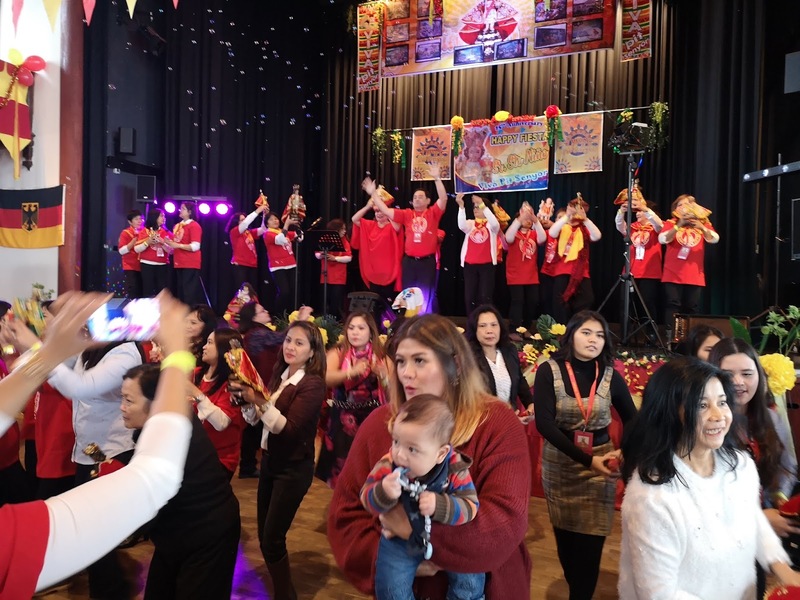 This year marked the 25th year of Sinulog celebration in the Diocese of Stuttgart - Rottenburg. 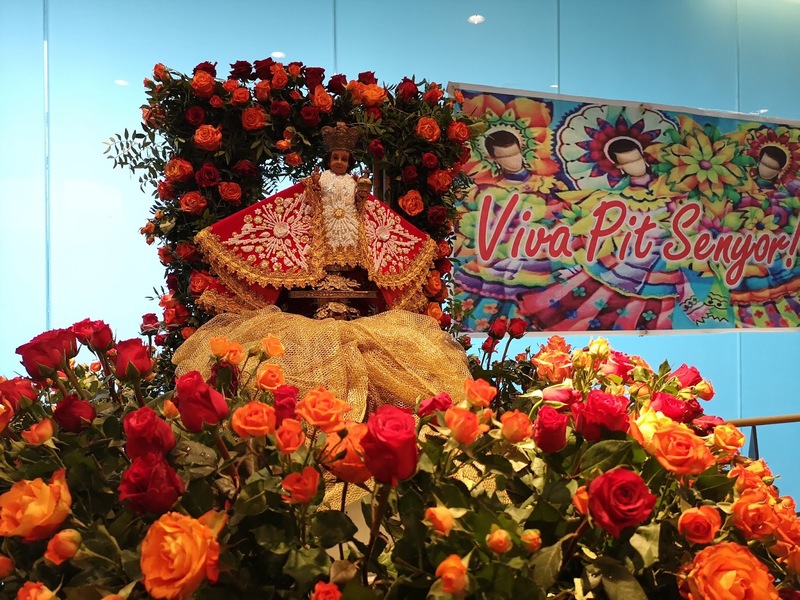 From its humble beginnings in 1994, the Sinulog festivities on this side of the globe has grown bigger and better. 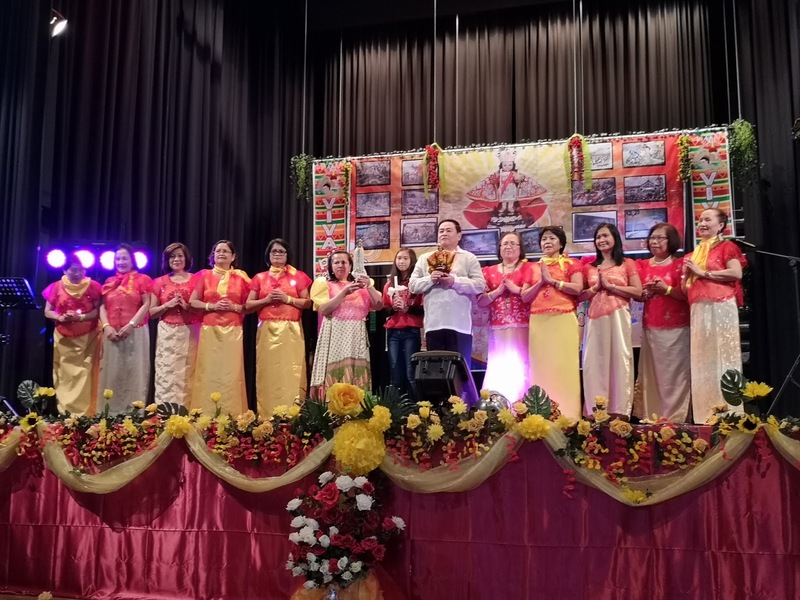 Last January 12, 2019, about 700 Catholic Filipinos gathered at the St. Martin Cathedral in Rottenburg to celebrate the Sinulog Holy Eucharist, with Rev. Fr. Simon Boiser as the main celebrant and co-celebrated by the diocesan Canon Thomas Weisshaar, Rev. Fr. Jonathan Ramoso Galope, Dean Dr. Tomas Begovic, Rev. Fr. Philip Ojibo and Br. Roy Paraiso. Church goers brought along with them their Infant Jesus (Sto. Niño) images to be blessed and adored. A procession of the Sto. Niño on a carosa from the cathedral to the Rottenburg town hall followed, with the devotees praying the rosary, faces all happy despite the chilly winter air. More merry making was witnessed inside the town hall as the people danced the Sinulog as a way of thanking and acknowledging the child Jesus for all the goodness, blessings and graces that He has bestowed upon the families and devotees gathered in his name. There were also various presentations prepared by the different Filipino communities in and around Stuttgart like the Sto. Niño Group, Kawayan Dancers, Philippine Cultural Dance Troupe Backnang, Mother of Salvation, and Waiblinger Dance Group showcasing different Filipino cultural dances. All these and more made the celebration more colorful and worth witnessing. Filipino food and the Filipino way of sharing food was also a big part in the festivities. There was food for sale for those who are not so fond of Filipino dishes. There was food to share in almost every table so that even if you did not bring anything to eat, you will not go hungry because everyone is generous enough to share their food with you, even if you are a stranger. Games for both young and old kept the guests entertained. 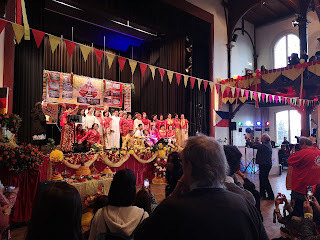 Another highlight of the Sinulog was the tombola raffle, where great prizes were up for grabs. This year, another lucky guest won a round trip air ticket to the Philippines. This and more prizes were raffled off - making the trip to Rottenburg really worth it. After the formal program, everyone was invited to the dance floor to dance the night away. Indeed it was a great way to celebrate our faith in the Sto. Niño with family and friends. Until the next Sinulog! Viva! Señor Sto. Niño! Pit Señor!